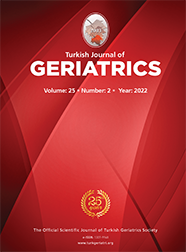 Uludağ Üniversitesi Tıp Fakültesi Fiziksel Tıp ve Rehabilitasyon Anabilim Dalı, BURSA Osteoarthritis (OA) is among the most frequent diseases in the population and a common cause of pain and disability in adults. Although there is an increasing body of evidence that infl ammatory events may be involved in its pathogenesis, OA is still classifi ed as a degenerative or non-infl ammatory condition, in contrast to infl ammatory arthropathies. The main diagnostic methods in OA are still radiographic changes, which are only evident when disease is established. Thus biochemical markers would be ideal in order to diagnose OA in pre-radiological stages and to identify different subsets of OA.